Pates began his career with Chelsea, making his debut as an 18-year-old in a 7–3 victory against Orient in 1979. He remained with Chelsea through the turbulent early 1980s and as club captain, led the side to promotion in 1983–84. He was surprisingly sold to Charlton Athletic in 1988 for £400,000 having made well over 300 appearances for the Blues. Two years later Pates joined Arsenal for £500,000, but after struggling to break into the side signed for Brighton & Hove Albion on loan, a move which became permanent in 1993. After a knee injury forced his retirement from the top-level game, he moved into coaching. He was appointed player-manager of Crawley Town, leaving in 1996, and then had a brief stint playing for Romford. He gained coaching qualifications while managing Wingate & Finchley, and since 2001 has coached football at Whitgift School in South Croydon. i.e. 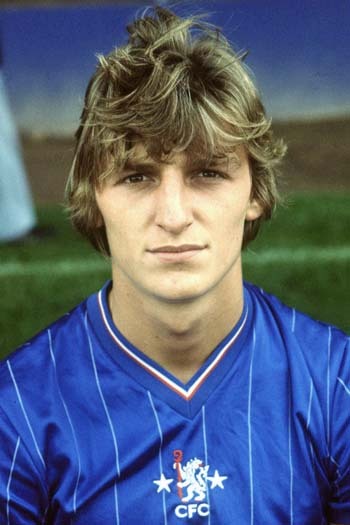 Colin Pates made 346 appearances for Chelsea, of which 1 were as a substitute.